Tube-Tone Delicious-Plus is a 37 watt RMS, a powerful version of the Delicious. 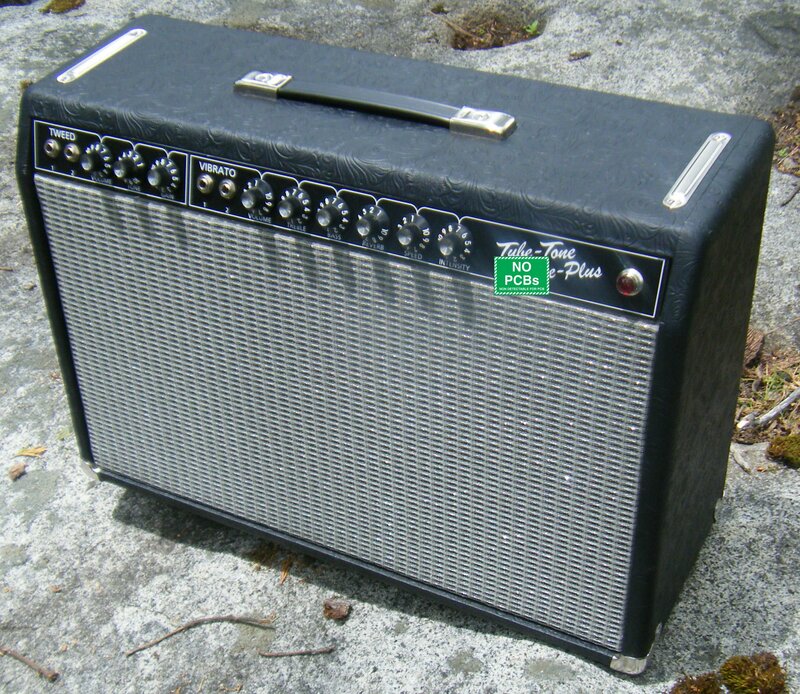 Rather than the 6V6 power tubes of the Deluxe, this one uses two 6L6GC power tubes by using larger output and power transformers along with a 12" Weber 12F150 speaker. The sound is very much like the Delicious, but with much more headroom, and has a tighter low end. 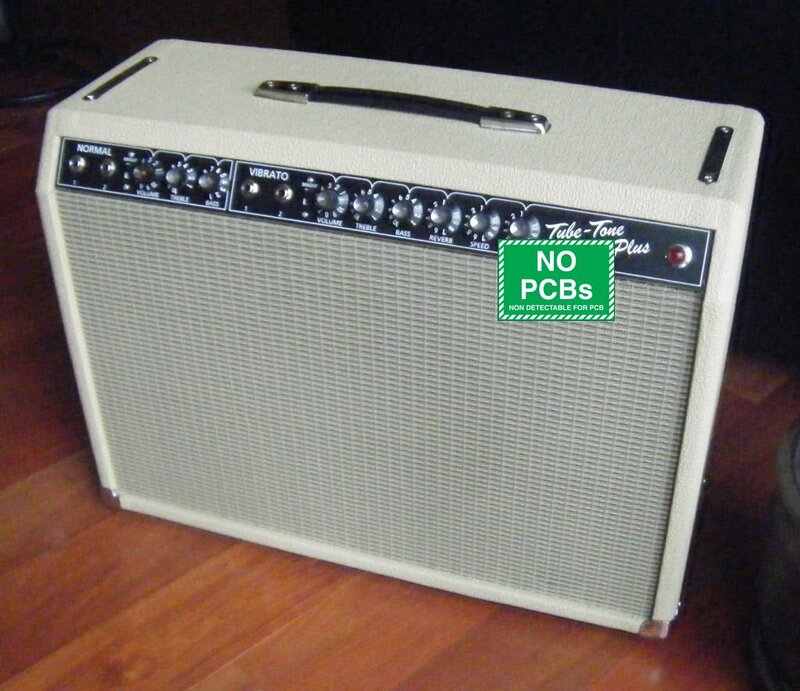 It uses the Fender AB763 circuit for the Delicious-Reverb, with the exception of the bias circuit. Foot switchable mid-boost, similar to the boost switch in the Dumble ODS, for an added 6db boost. It also has the Cesar Diaz mod of switching out the tremolo tube for added gain to the other tubes. If neither switch is activated, the circuit is the same as the original Delicious. There is also an optional 1/4" line-out jack for easy hook-up to a PA system. 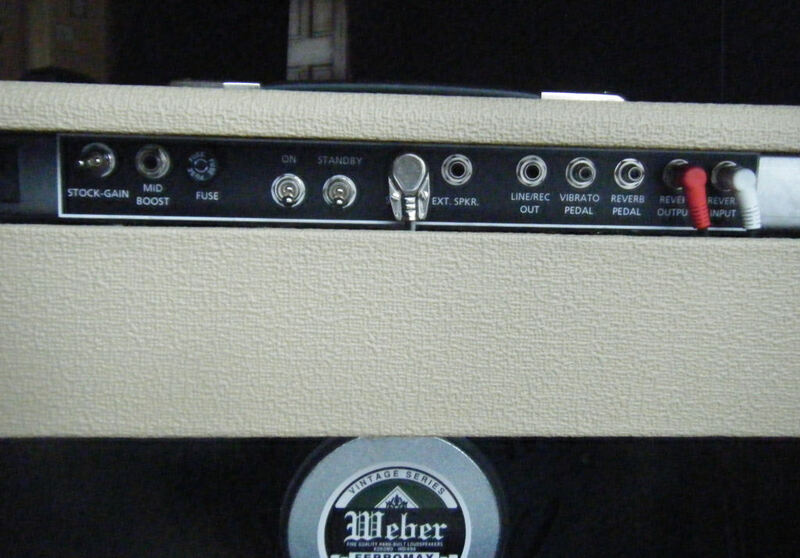 The amp pictured was done in the Vintage Blonde covering, with Wheat grill cloth. All coverings are available from the Coverings page, including the traditional black/silver. The Delicious-Plus comes with a Weber 12F150 ceramic magnet speaker, and the Weber Copper Cap rectifier, or a JJ GZ34 rectifier, whichever you prefer. It also features our dual bias pot adjustment for the power tubes. 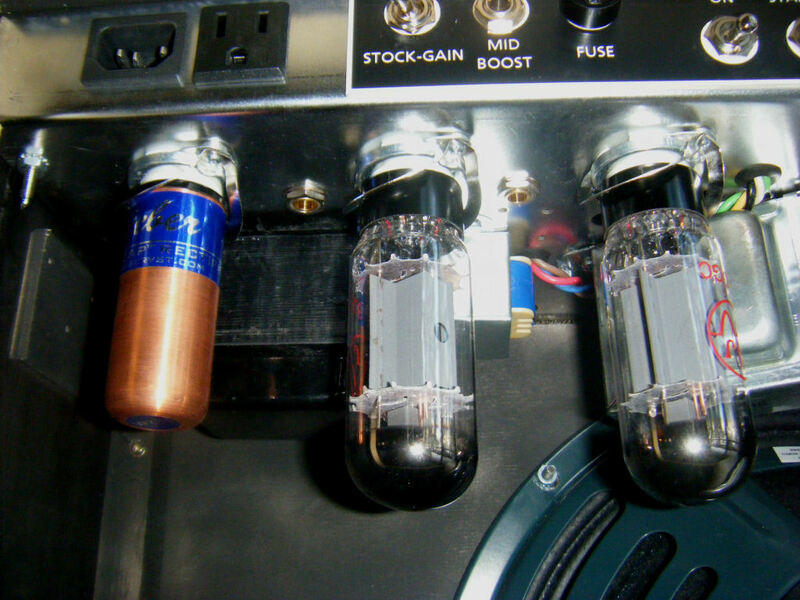 The tubes can be bias adjusted for each one separately to get the best sound/life out of the power tubes without needing a matched pair of tubes. Deposit for Tube-Tone Delicious-Plus amplifier. Total price is $1710 with free ground shipping in continental US, or $1660 plus shipping to other destinations. Please inquire on our discounted FedEx and GLS shipping price. Specify cover and grill cloth, pilot light color, 120v or 230v.